I love classic cocktails for their elegance and sheer simplicity; my favorite by far is the Old Fashioned. This is bar none the most iconic bourbon based cocktail out there and is truly the paragon of the classic cocktail world. 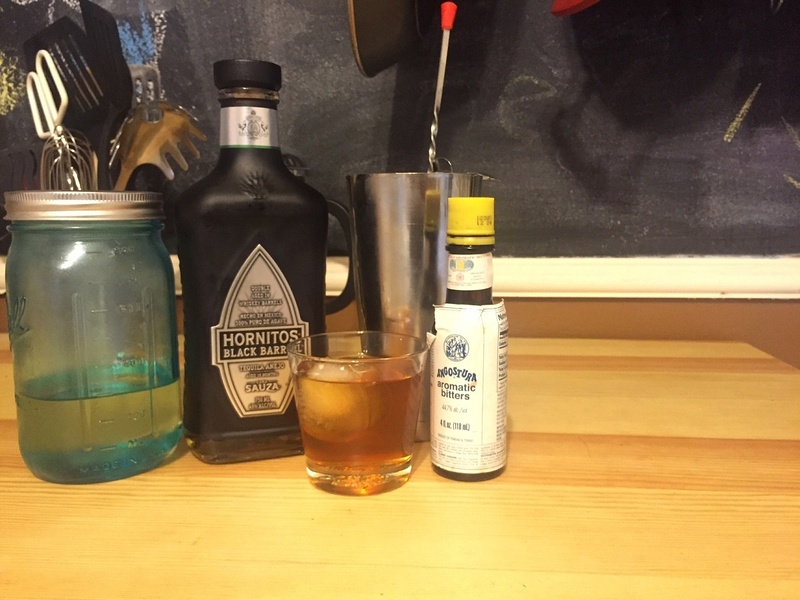 While the bourbon based Old Fashioned is the king of the cocktail there is a modification that is a close second; when you substitute tequila you get a whole new dimension of flavor to a tried and true favorite. 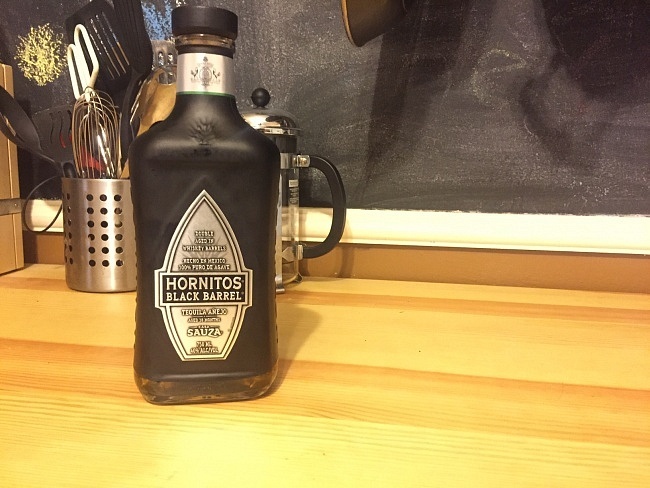 Hornitos offers some great tequilas and their Black Barrel variety is by far your best bet in creating this extremely innovative take on a classic favorite. 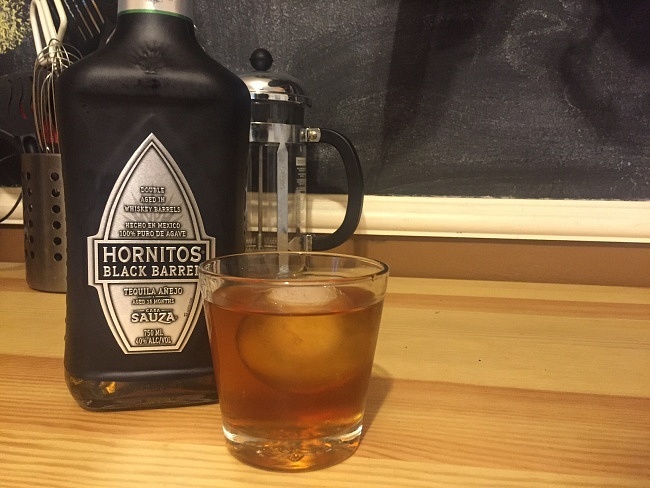 For the Old Fashioned you MUST use Hornitos Black Barrel Tequila because you really need its bourbon aspects to make the drink come alive. For this variety Hornitos takes their already superb Añejo tequila and ages it in deeply charred oak barrels where they are left for four months to acquire a deeper and darker golden amber color and the smoky flavor characteristic of American bourbon. To make the Old Fashioned stir two ounces of Black Barrel, 2 dashes Angostura Bitters, and a touch of simple syrup. I poured the cocktail over a single large spherical ice cube for even cooling, you should garnish with a cherry and orange peel but I sadly did not have those at the time of this article. The resulting cocktail pays homage to its bourbon roots while Hornitos Black Barrel Tequila gives it a whole new spiciness and refreshing drinkability. Take a great leap and try Hornito’s Black Barrel Tequila in your Old fashioned, you will be rewarded with a new and innovative take on a tried and true classic.